Adil has more than 26 years of experience in logistics and operational functions with multinational environment organizations in Australia and the Middle East. 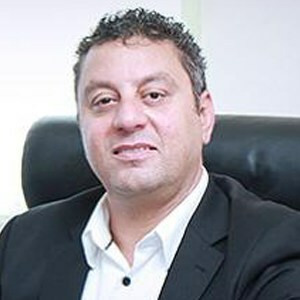 He currently heads operations and manages special projects for NTDE, which handles the distribution of a variety of FMCG, Tobacco and Pharmaceutical products, including Cadbury Chocolates, Frozen Foods, Haagen Dazs Ice-cream, Cipla Products, Pokka Juices, Cigarettes, Davidoff & Cuban Cigars and various other international brands. Since joining NTDE in 1998, Adil has gained experience in managing all aspects of a large distribution center including implementing automated distribution systems; selecting, managing and training staff; developing and managing the departmental budget; establishing and monitoring productivity goals; and leading cross-functional teams on key projects. Adil was also responsible for the design of the the layout, organization, processes, and procedures for NTDE’s landmark facility, which is one of the most modern warehouses in the Middle East. His role also involves managing a fleet of over 500+ vehicles and huge experience in building trucks (Frozen, Chilled and Normal) of all sizes and directly controlling staff strength of 430+ under the logistics team.